Carolrhoda Books (R), 9781541533059, 232pp. Robin Yardi, author of The Midnight War of Mateo Martinez, tells a story full of mystery, feathers, and sprinkles. 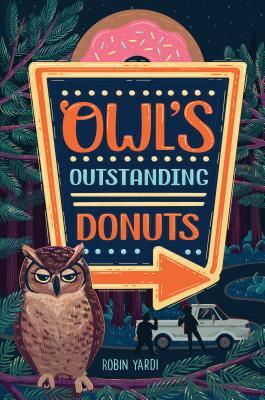 After Mattie Waters loses her mother, she goes to live with her aunt, the owner of a roadside donut shop in Big Sur, California. When an owl taps on Mattie's window one night, Mattie looks out to see something suspicious taking place nearby. With help from her friends--and from Alfred, a stuffy but good-hearted owl--she'll set out to find the culprits, facing fears that have followed her since her mother's death.